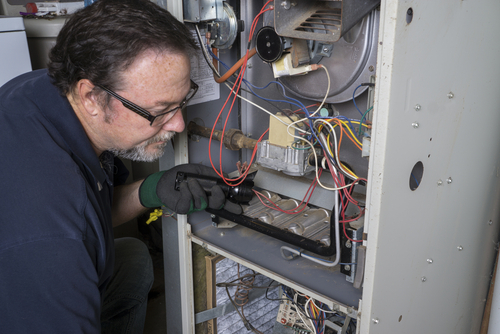 Once you realize you need a new furnace, the whole process could quickly become overwhelming. For 50 years, Logan A/C and Heat Services has helped Ohio homeowners through the experience with expert knowledge and consideration. We have made a name for ourselves in gas furnace installation with wonderful customer service that takes away all your worries. You make a big investment, and you trust us to ensure you will be satisfied now and in the future. We are always happy to show you the difference that a pro makes in your long-term comfort. Why Is Expert Furnace Installation so Important? The moment we arrive, you will see our years of experience shine through in our interactions — we never compromise quality. Every member of our team is attentive to your needs, with professional care that can set your mind at ease. What Does Gas Furnace Installation Cost? We at Logan A/C and Heat Services believe it is vital to install the equipment we sell to our customers. This helps to protect your investment and ensure that the manufacturer warranty will be effective, if you need it. For your convenience, we combine the cost of the new furnace and installation into one estimate. Ask us about our financing options and how we can make the buying process less stressful. Fortunately, once you are ready to make a choice, our team can often install the next day, with project completion within a day or two. Cutting down on your wait time minimizes your inconvenience and gets you feeling the warm air sooner. For emergency service, do not hesitate to call us at 1-800-564-2611. You can also call one of our locations directly. Visit the city pages to see your community, or email us at info@logan-inc.com. Having your new furnace professionally installed by Logan A/C and Heat Services could be the best investment you make in your home comfort in winter. For more information about furnace installation or our financing options, contact us today.